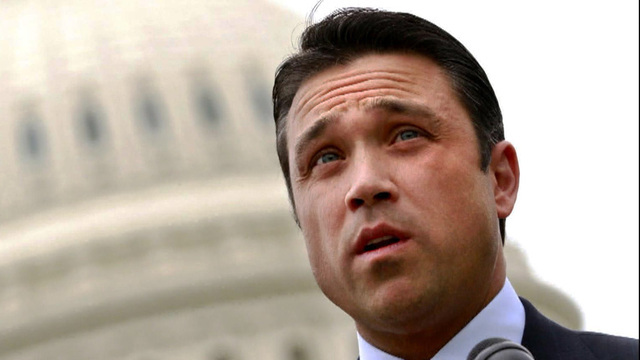 U.S. Rep. Michael Grimm has pleaded guilty in a federal tax-evasion case that he fought as he won re-election this fall. His attorney, Stuart Kaplan, told CBS news that Grimm intends to hold onto his seat, saying in an e-mail, "Mr. Grimm will NOT be stepping down. He is committed to serving his constituents who recently reaffirmed their support for him in the November election." At the federal courthouse in Brooklyn, New York, Grimm pleaded guilty to causing the filing of a false and fraudulent tax return, according to the U.S. Attorney's office. Grimm admitted he concealed over $900,000 in gross income and that he lied under oath while he was serving in Congress. Loretta Lynch, the president's nominee to be U.S. attorney general and the current U.S. attorney for New York, announced the guilty plea. She said that Grimm admitted that in the course of running his business, that "he chose lies and deception over honest dealings with federal and state authorities as well as his own employees." She said he Grimm "has now publicly admitted that he hired unauthorized workers whom he paid 'off the books' in cash, took deliberate steps to obstruct the federal and state governments from collecting taxes he properly owed, cheated New York State out of workers' compensation insurance premiums, caused numerous false business and personal tax returns to be filed for several years, and lied under oath." Grimm faces a prison term of up to three years. He has also agreed to pay restitution to the Internal Revenue Service (IRS), as well as to the state of New York. Sentencing is set for June 8. Prosecutors said between 24 and 30 months in prison would be appropriate; the defense estimated the appropriate sentence as 12 to 18 months. It's not immediately clear how the plea will affect the Staten Island Republican's congressional career. In October, he said he'd step aside if he was "not able to serve." The case stemmed from an investigation of Grimm's campaign financing. He was never charged with any campaign offense.